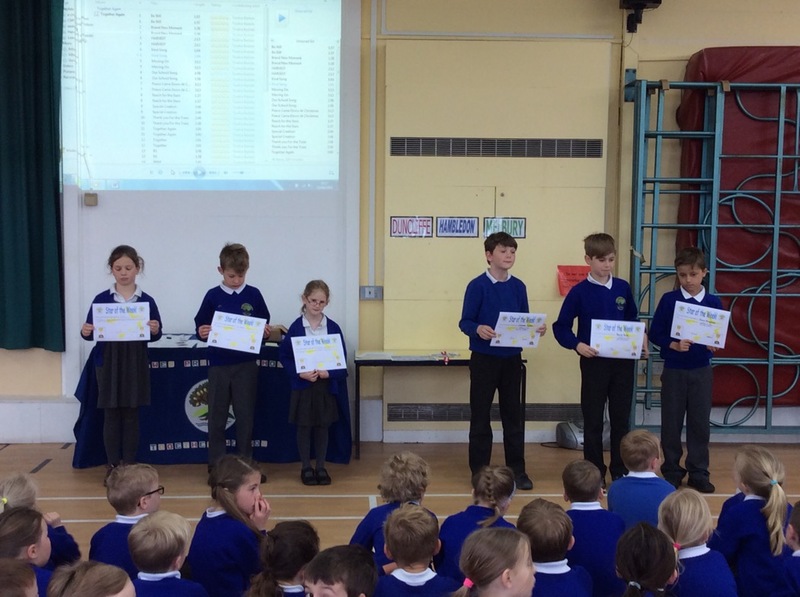 Our stars of the week are Ashleigh, Joe, Isla and Connor, Daniel and Cameron. These pupils have demonstrated the good skills needed to be a good friend this week. 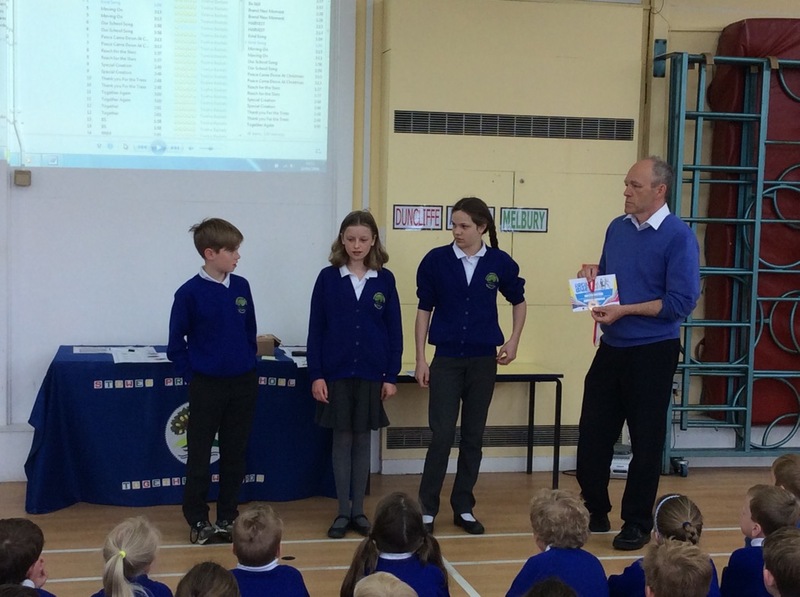 The spick and span award was awarded to Chestnuts for the cleanest and tidiest learning environment. 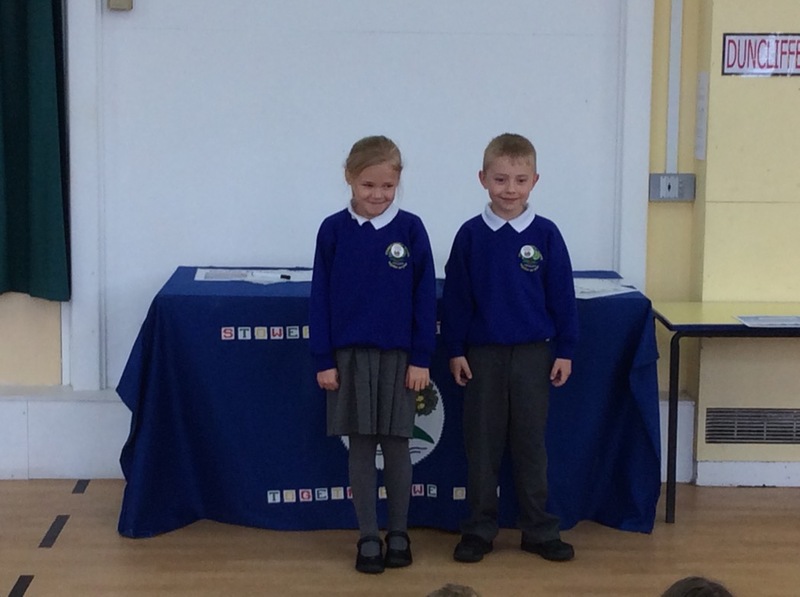 The attendance award was awarded to Acorns with 99%. House point winners this week Duncliffe. 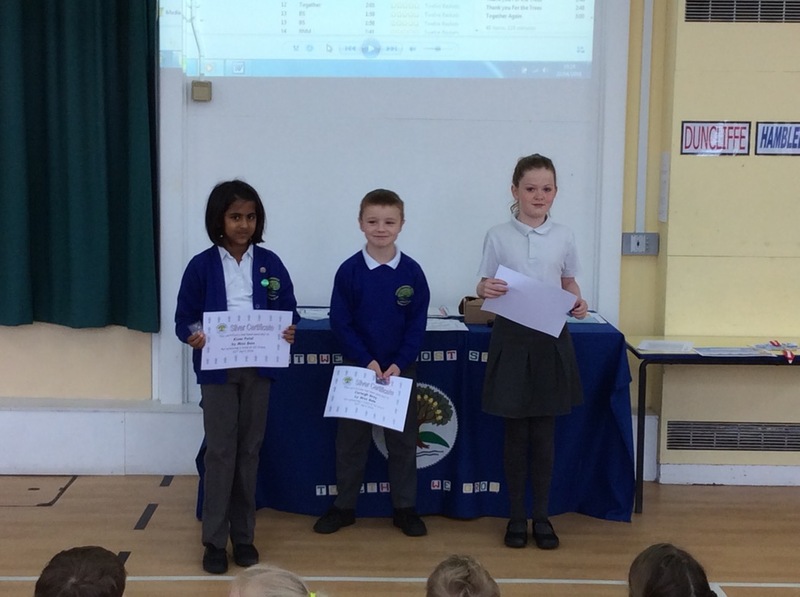 Silver certificates were awarded Kisna, Corleigh and Eden (Chestnuts). 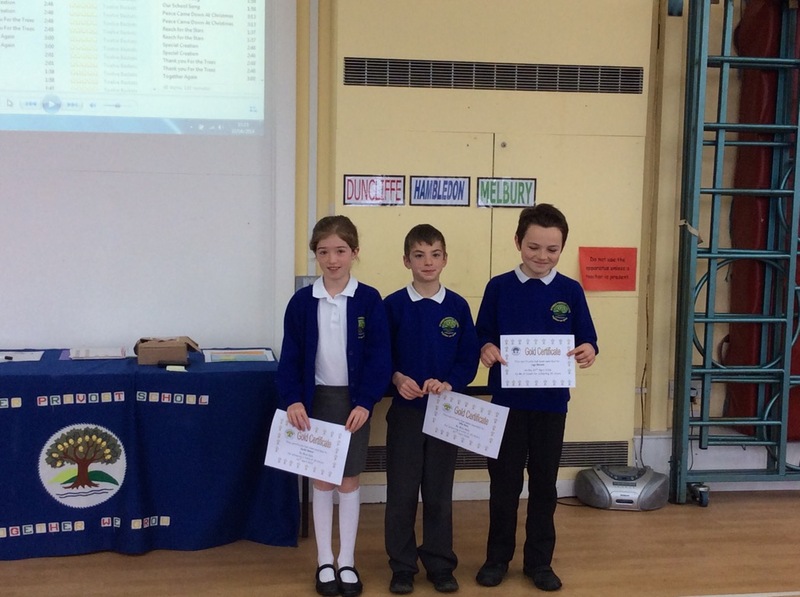 Gold certificates were awarded to Emilee, Alfie (Chestnuts) and Jago (Oaks). 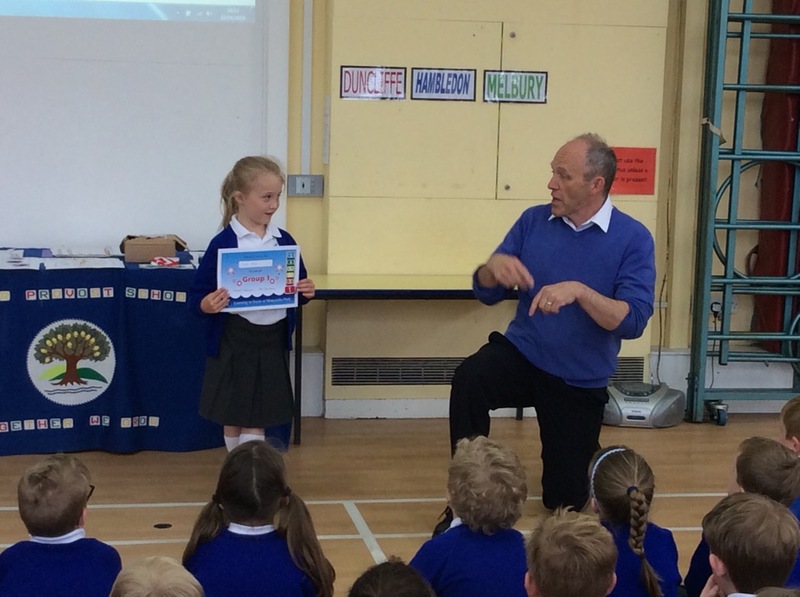 Amelia was awarded her group 1 certificate for swimming. Ella, Thea and Daniel (Oaks) recently attended an Athletics competition in Wareham. They competed in track and field events including long jump, vertical jump, obstacle race and over under relay. 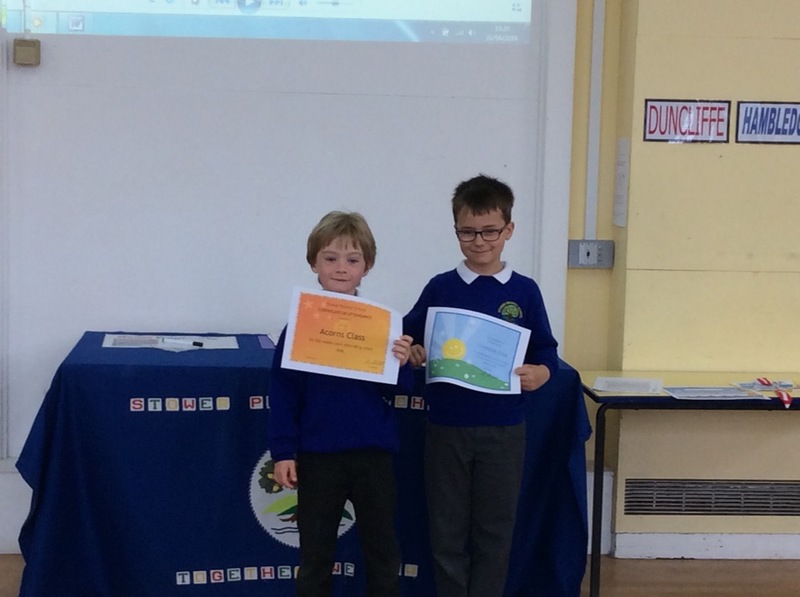 They shared the certificates and medals that they had won. Well done. We sang Happy Birthday to Summer (Chestnuts) and Finlay (Conkers).